Adam Liptak of The New York Times wins the November Sidney for exposing the conservative Heritage Foundation’s secretive “training academy” for judicial clerks. The clerks are promising young lawyers in the pipeline to become judges themselves. 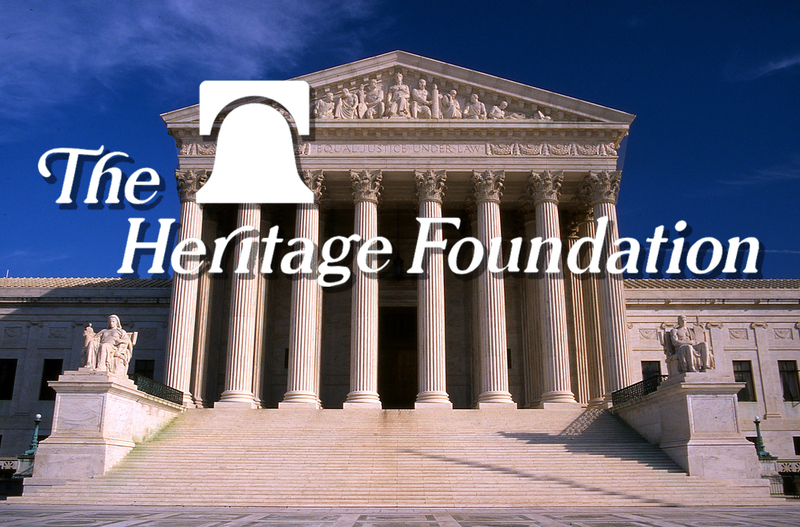 The academy was to be part of the Heritage Foundation’s longstanding campaign to push the federal judiciary to the right. Applicants were told that “generous donors” were “making a significant financial investment in each and every attendee.” In exchange, participants had to swear to keep their teaching materials secret and never to use what they learned in any manner contrary to the interests of the Heritage Foundation. Legal experts said that these pledges violated the clerks’ duties to be candid with their judges and serve in the public interest. “Law clerks are not supposed to be part of a cohort of secretly financed and trained partisans,” a Stanford law professor told the Times. Heritage cancelled the program within hours of Liptak’s story appearing online, but we may not have heard the last of the Heritage training academy. “I have heard rumblings that Heritage may revive the program without its most troublesome requirements,” Liptak said in his Backstory interview. Law clerks matter. According to a recent study, clerks not only write many decisions for judges, they influence those decisions as well. Influencing law clerks has a direct correlation on the judicial system and how the law is applied. Adam Liptak covers the Supreme Court for The New York Times. He was a finalist for the Pulitzer Prize in explanatory reporting in 2009 and received the Scripps Howard Award for Washington reporting in 2010. Q: How did you become aware of the Heritage Foundation’s secretive program for the incoming clerks of federal judges? A: I first heard about the program from Linda Greenhouse, my predecessor as the Supreme Court correspondent for The New York Times. She now teaches at Yale Law School and comes into contact with many law students who will go on to work as clerks to federal judges. Linda sent along a link to online materials posted by the Heritage Foundation that made unusual demands of applicants. They floored me, and I started making inquiries. In the days that followed, I also heard from prospective clerks and a federal judge, all of whom questioned the program’s requirements of secrecy and loyalty. Before my article was published, commentators on Twitter and Mark Joseph Stern of Slate also raised questions about the program. Hours after I contacted Heritage for comment, it deleted the references to the “generous donors” who would make “a significant financial investment in each and every attendee” and to the program’s requirements of secrecy and loyalty from its website. I had had the good sense to preserve those materials before they disappeared. Q: The Heritage Foundation announced that it was cancelling the program within hours of the story appearing online, have there been any further developments since the story ran? A: I have heard rumblings that Heritage may revive the program without its most troublesome requirements. Q: The application materials asked applicants to pledge not to use anything they learned against the interests of the Heritage Foundation. Judges are public officials and their clerks occupy positions of trust. Could a promise like that run afoul of judicial ethics guidelines, or even the law? A: Experts in legal ethics said there were two basic problems with the program as described in the now-deleted materials. The requirement that clerks “keep strictly confidential and not distribute to any other person” the materials provided at the program, they said, was at odds with the clerks’ duty of candor and loyalty to the judges they will serve. And the requirement that clerks not to use what they learned “for any purpose contrary to the mission or interest of the Heritage Foundation,” they said, was in deep tension with the obligations clerks have to their judges and the justice system. Q: How did this training program fit into the Heritage Foundation’s larger strategy to push the courts to the right? A: A “training academy” for prospective law clerks has no necessary ideological valence, and it is possible to imagine one that merely tries to expose them to practical tips and a variety of viewpoints. But the posted materials, with their references to originalism and textualism, which are modes of interpreting the Constitution and statutes that are generally but not exclusively associated with conservatives, suggested that the program would not have been ideologically balanced. That said, law school graduates should be trained in critical thinking, and allowing them to evaluate conservative ideas is not in itself problematic. Indeed, conservatives might say that students at the leading law schools are exposed almost exclusively to liberal ideas. Q: Are there any comparable programs sponsored by left-leaning legal groups? A: A spokeswoman for the leading progressive legal group, the American Constitution Society, said she knew of no analogous program on the left.